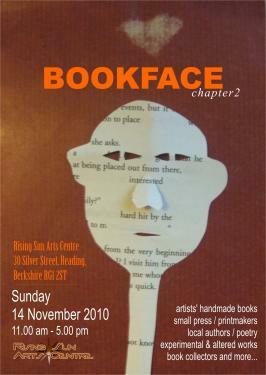 Lazy Gramophone will be attending BOOKFACE in Reading, Sunday 14th November. BOOKFACE is a book fair with a difference! Artists and writers will be exhibiting and selling their work. Artists' book creations, experimental and altered works, small press, local authors, poets, comic book artists and book collectors. Listen to poetry readings and watch artists' demos. Browse the book stalls, share ideas, relax and enjoy drinks and snacks at the bar. We will have our own Lazy Gramophone stall, selling satin prints, giclee prints, letterpressed notebooks, greetings cards, badges, stickers, bookmarks, and copies of all our books. Lazy Gramophone artist Claudia Forsbrey will be at the event, as will Joanne Tedds and Will Conway who will each be performing readings of their latest works. It's going to be a lot of fun, hopefully see you all there!